Recently, more than 3,000 drivers responded to a nationwide survey that asked them to prioritize 14 road-related factors. The respondents included operators of privately owned vehicles as well as professional truck drivers. The questions were designed to determine what drivers wanted from their roads as well as their attitudes regarding related issues. Here is what the survey found. 1. Well-maintained roads were high on the list, with 73 percent of the professional truckers and 84 percent of the POV drivers prioritizing maintenance. 2. Drivers in both groups felt that maintenance work needed to be performed during low-volume times to minimize traffic snarls and congestion. 3. When it came to allocating funds to new roads versus spending on maintaining and repairing current roads, 78 percent of the truckers and 86 percent of the POV drivers felt that spending should focus on keeping existing roads in good repair instead of building new ones. 4. Respondents demonstrated an understanding of the costs involved; over half stated they would support additional or new funding initiatives for road maintenance or construction, and 69 percent were willing to accept traffic delays for maintenance if they resulted in smoother, more drivable roads. 5. Safe roads were a high priority for 56 percent of the respondents. In short, what American drivers want are safe, smooth, well-maintained roads that do not cause them unnecessary delays. Asphalt pavement delivers everything that the survey shows that drivers want from their roads. • Repairing and maintaining asphalt roads does not require the lengthy closures that are involved with concrete pavement, allowing traffic flow to resume much more quickly. • Virtually all work on asphalt roads can be done when traffic is light so that rush-hour congestion caused by roadwork is eliminated. • Asphalt roads are smoother and more even, which makes them safer. The ease with which asphalt can be repaired means that asphalt roads are often better maintained than concrete roads, which again increases the safety factor. 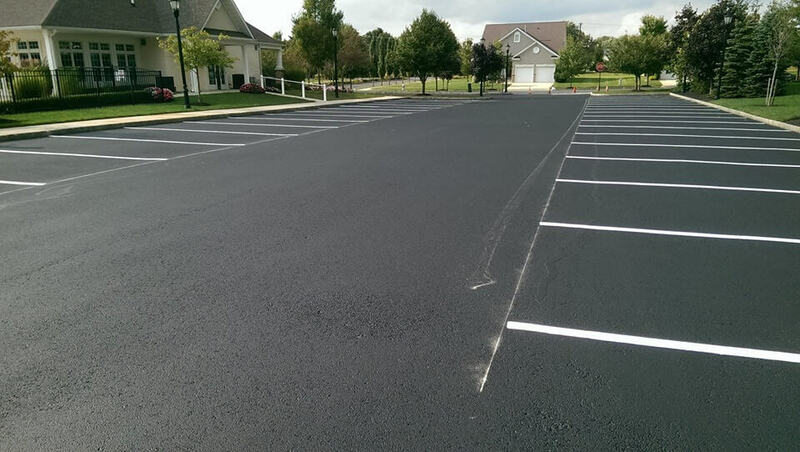 At Asphalt Pavement Solutions, the results of the survey came as no surprise. We have been providing customers throughout the states of New Jersey, Delaware and Pennsylvania with all of their asphalt-related needs since 1983. 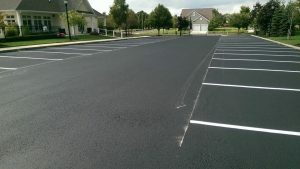 Whether you need asphalt paving, car stops and bollards installed, sealcoating, asphalt repairs, parking lot striping or other asphalt services, we have the experience and training to give you exceptional results at competitive rates. Call us at (856) 461-1710 or toll-free at (800) 559-SEAL to discuss your next project. If you prefer, you can also submit on online form to request a free quote.